It was at last year’s Blizzcon when Blizzard announced that they would be officially releasing World of Warcraft Classic with dedicated servers. 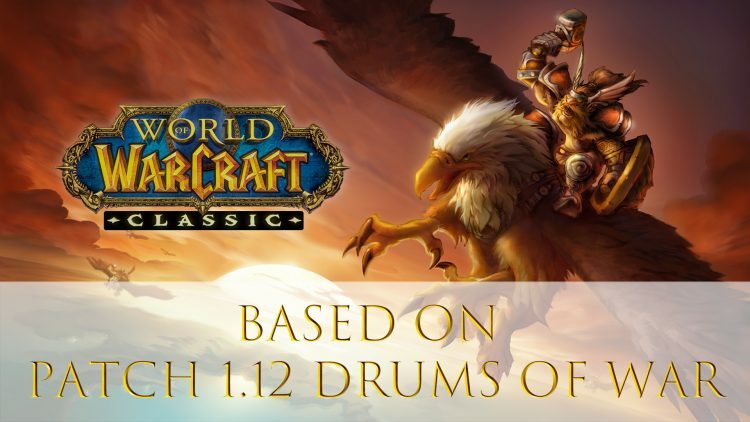 We now get news that the version they will base it on is none other than Patch 1.12 Drums of War. In a post on Battle.net, Blizzard has finally decided to share that the patch that Classic WoW will be based on is Drums of War. When Blizzard originally announced WoW Classic it was for those who really enjoyed their experience at the beginning of WoW, typically known as vanilla. While Classic won’t be exactly like the vanilla days it does bring players closer with dedicated servers. There is no news as of yet whether they will have servers for further expansions apart from Classic. The reason this patch was chosen was “because it represents the most complete version of the classic experience”. But it hasn’t been smooth sailing as reportedly the game would crash and cause problems with modern video cards. Blizzard also needed to adhere to the modern anti-cheat/botting detection which was not apparent in past versions. While there’s no word on the release window, we do get to know which version will be arriving for World of Warcraft Classic. If you enjoyed this article you should check out World Of Warcraft Character Boost VS Leveling and for rundown of the latest news be sure to check out Top RPG News Of The Week: E3 2018 Sekiro, Fallout 76, Cyberpunk 2077 And More. WoW and Rift is doing that, will it be a trend for all MMORPGs to return to the roots?